イラスト素材: Duck ring inflatable rubber. 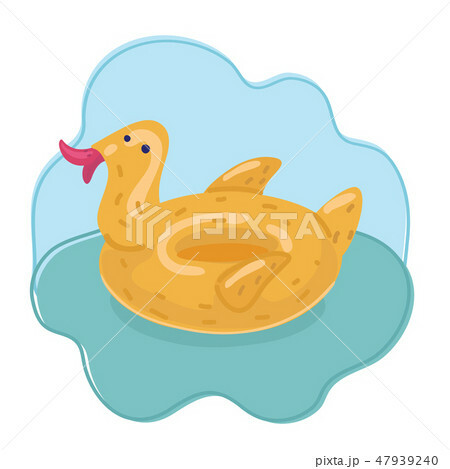 Vector cartoon illustration of duck ring rubber on water background. Inflatable object. Air balloon.